Spring time is our busiest time of the year, the weather is wonderful and we are spending more time outside and on the go! It's very rare that I ever leave my house with out a bag or two on my shoulder, as a parent you can never have too many right? RuMe is a brand that has always caught my eye, they offer a wide variety of premium, everyday accessories in colorful patterns! RuMe's products are affordable, durable, stylish and the best part - reusable! I was so excited when a package from RuMe arrived on my door step! 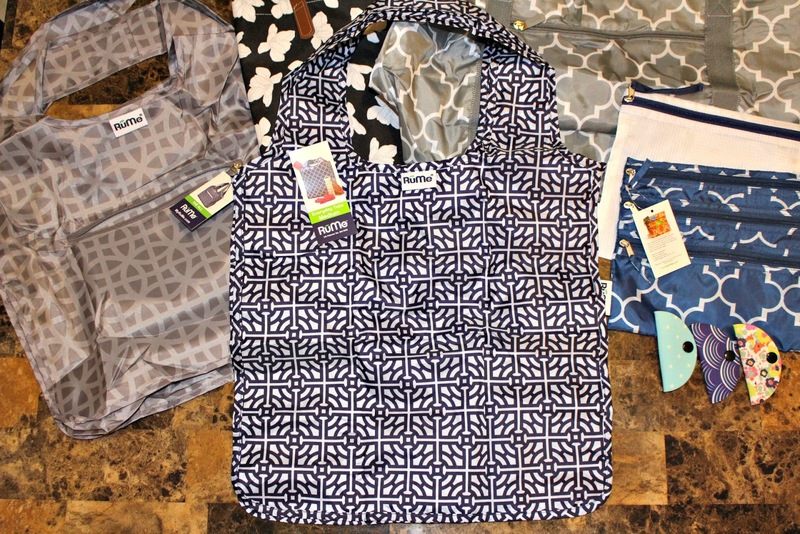 They so kindly sent me the Kennedy Tote, The All, Baggie All, Everyday Tote Medium, cFold, Tech Tacos, Reveal Quart and the 2 in 1 Garment Travel Organizer! Believe me when I say you will have no problem falling in love with RuMe! 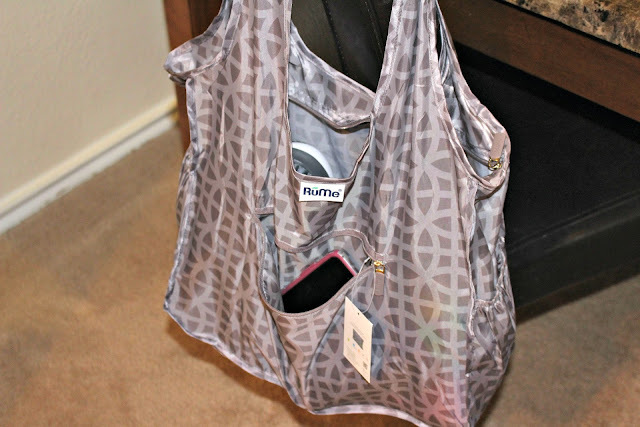 Hands down my favorite product is the Everyday Tote Medium - this has me written all over it! 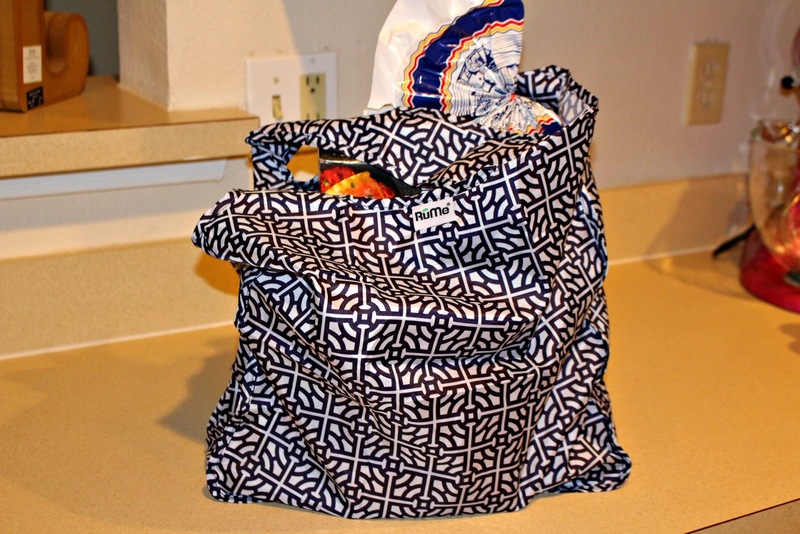 The Everyday Tote Medium can hold up to 50 pounds, it's machine washable and water resistant. This tote is perfect to keep in the truck, from grocery shopping, to picnics at the park or even just hanging out at the local spray ground, the possibilities with this bag are endless! 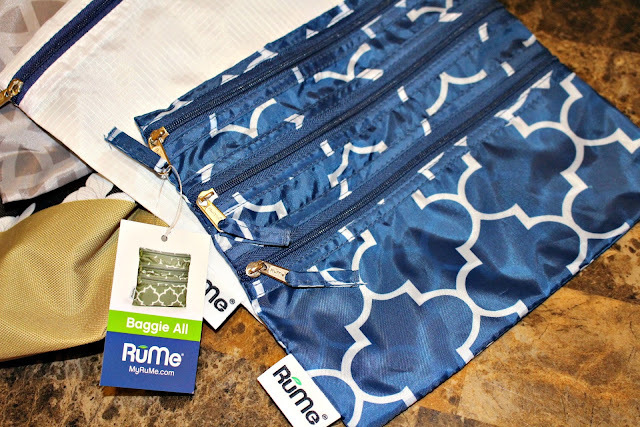 From traveling to staying organized this spring, RuMe has you and your family covered! 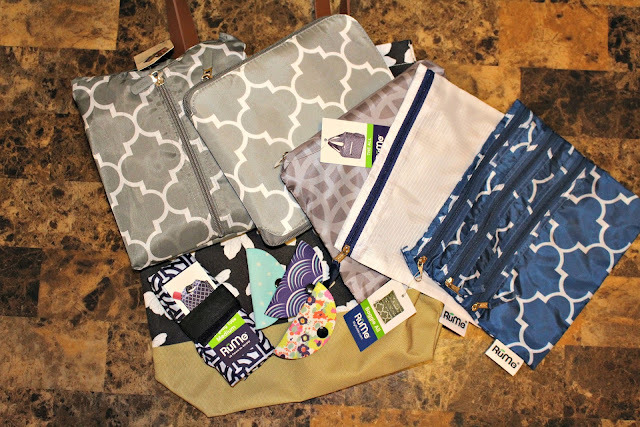 With items like the 2 in 1 Garment Travel Organizer, cFold, Tech Tacos and Reveal Quart -you'll be all set for that vacation to the beach! The Tech Taco Cord Organizer provides on the go organization for things like your headphones, phone charger and more. With the Reveal Quart you can see what's inside, it's water resistant, machine washable and food safe, perfect for school supplies, toiletry items and more! Don't travel anywhere with out the 2 in 1 Garment Travel Organizer, this two sided bag allows you to pack suits and dresses on one side and then essentials on the other! cFold was deigned for the everyday traveler, it's loaded with clever zippers and pockets and is perfect as a weekend bag, duffel bag, or even a gym bag. If your like me you probably try to stay organized, but let's face it with kids, the bottom of my purse always looks pretty scary! Well, hopefully that will all change know that I have the Baggie All, if you have a purse or tote, you need a Baggie All! The Baggie All is the ultimate organization for loose items, it features three zippered pockets - perfect for your keys, makeup, hair ties, and even maybe a granola bar or two! As much running around I do on a daily basis, I love having the RuMe All and Kennedy Tote on hand! The All is perfect for everyday essentials, it's so lightweight, holds up to 50 pounds and is machine washable and water resistant. My RuMe All is currently storing my gym clothes and shoes, it's perfect to toss in the back seat of the truck! The Kennedy Tote is a new USA-Made everyday tote bag, you'll stand out in the crowd with this unique and fun pattern! This bag features long vegan leather handles, it's such an easy and comfortable bag to throw over your shoulder. It works great to carry books in or as a shopping tote, knitting bag and more, every woman should own a Kennedy Tote! So what do you think? I'm so excited to show off my RuMe items this spring, which one is your favorite? You can purchase all of the products featured online at RuMe and don't forget to stay connected with them on Facebook, Twitter, Pinterest and Instagram!